Serious accidents and injuries frequently occur on construction sites. Construction employees are exposed to dangerous and life threatening conditions on a routine basis. Many times a party other than the employer is responsible for a portion of the injury causing accident, allowing a pain and suffering recovery in addition to Workers' Compensation Benefits. 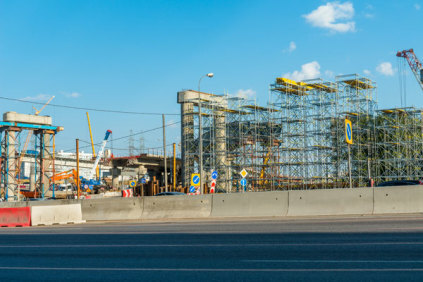 Knowing your rights pursuant to federal and state laws and regulations governing construction accidents is always important in seeking compensation. While the driver's insurance company will likely offer you a settlement, do not accept their offer until you first speak with a Miami pedestrian accident lawyer. Your attorney always works to secure your interests while an insurance company adjuster will work to only provide you the minimum acceptable settlement. You may qualify for hundreds or thousands of dollars more than the insurance company settlement. Don't be victimized twice. A Miami pedestrian accident attorney can help you get reimbursement for all other current and future financial impacts caused by your accident. Contact The Bernstein Law Firm today to speak with an experienced Miami accident lawyer. We have the experience to get results quickly, so you can quickly start on the road recovery. In the U.S. thousands of people fall victim to swimming pool accidents each year. According to Foundation for Aquatic Injury Prevention (FAIP), an estimated 5,000 children under 15 years of age are hospitalized and some experience severe, permanent disability. Many swimming pool accidents occur in residential pools and open water sites including; spas, hot tubs, and Jacuzzis. If you or a loved one has experienced a swimming pool accident injury or died due to drowning, you may be entitled to monetary compensation. Only a skilled Miami swimming pool accident attorney can help. Contact the Bernstein Law Firm and speak with our experienced Miami accident lawyer. At the Bernstein Law Firm, we understand how devastating a swimming pool accident, drowning, or near-drowning accident can be. Swimming pool accidents can result in permanent injuries that lead to high medical expenses, treatments, and pain and suffering. Our Miami injury and accident attorney will work hard to receive the compensation you deserve to cover for medical bills, treatments, emotional trauma, and other damages. A majority of swimming pool and drowning accidents occur as the result of improper pool designs, maintenance, and lack of pool fences or coverings. It is up to the property owner to make sure they provide a safe swimming pool area for both adults and children. If they fail to do so the owner can be held liable for injuries and fatal accidents. 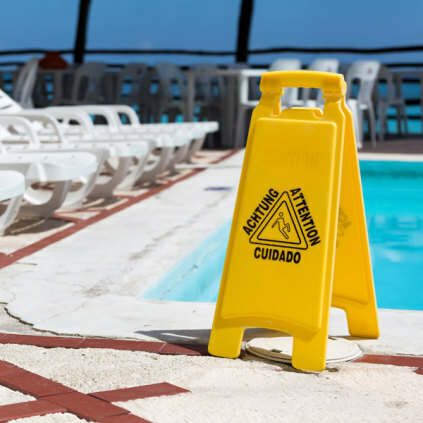 If you have experienced a serious swimming pool accident injury and believe it was due to negligence by the owner, contact our Miami swimming pool accident attorney today. We will review your case, determine the cause, and help you file a law suit. In addition, we will explain all your options, and pursue the highest compensation possible for your case. To set up your FREE consultation with an experienced Miami injury and accident lawyer, please contact the Bernstein Law Firm today. When you have been injured by an escalator or elevator, there are many potentially liable parties. Lawsuits of this nature are notoriously hard for even the best Miami injury attorney, as he or she will be required to do a lot of research to uncover the person or company responsible for your injuries. While you may feel all alone when you have been involved in an accident like this, you are not. Over 11,000 people are injured in escalator and elevator injuries every year and 27 of those people die from their injuries. The most common injuries resulting from accidents of this nature are brain injuries, limb amputations, disfigurement and death. There are generally three parties that may be responsible for an escalator or elevator injury: the person or company that owns the property; the company that makes the elevators; or the person or company that maintains the device. Your Miami elevator accident lawyer can help you evaluate who is liable for the injuries your sustained. In most of these situations, the property owner will be responsible, as they were expected to maintain the machine in a safe manner. To prove the owner's liability, your Miami injury attorney will need to prove that the owner was aware of the device's problems but failed to fix it. Finding this evidence may require research through company logs, witness interviews, repairman testimony, purchase documents and operating permits. If the device was victim of a design or manufacturing error, the company that created and sold the elevator or escalator may be at fault. In these situations, it was the company's duty to be aware of such errors and initiate a recall if they were found to be dangerous. Your Miami accident attorney may sue this company under product liability statutes if they prove to be responsible. Lastly, the injury may be due to a dishonest maintenance company. Some companies and repairmen will lie about the frequency of their maintenance and inspections in order to get paid for doing nothing. If their inaction resulted in your injury, they will be at fault. When you have been victimized by a faulty escalator or elevator, contact The Bernstein Law Firm. Call our accident law office today for your free initial consultation. If you or a loved one were struck by a car while riding on a bicycle, you are not alone. 500,000 bicyclists check into hospitals every year and a great number of these injuries are caused by accidents with cars. In fact, 700 cyclists die every year after they were struck by a vehicle. Those that don't die still suffer from highly painful injuries, including road rash, nerve damage, broken bones, sprains, bone fractures, spinal cord injuries, head trauma and more. When you have been victimized by a vehicle on bike accident, don't wait a second before your speak with a skilled Miami bike accident lawyer. 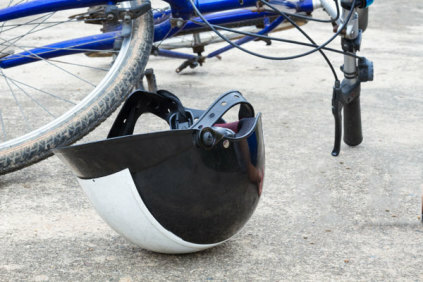 While most accidents of this nature are caused exclusively by the driver, there are some things a bicyclist can do to help protect him or herself. Cyclists should always wear bright colors, obey all traffic laws, wear a DOT approved helmet, ride defensively and light up their bike as much as possible. Even when you do all of these activities though, there is still no way you can protect yourself 100%. There are many common reasons cars hit bicycles, resulting in the need for accident claim representation in Miami. Every bicyclist knows there is a risk when they take up the sport, but that does not mean he or she should just lay back and accept the costs of an accident. If an accident is not your fault, you need to speak with a skilled Miami accident attorney immediately. Remember, even if you are working with the driver's insurance company, you will still receive a better settlement when you invoke your right to representation with a knowledgeable Miami bike accident lawyer. While the insurance company adjusters will always be trying to maintain their bottom line and minimize your settlement, your attorney will work to maximize your reward. If you are ready to schedule your free initial consultation with a skilled Miami accident attorney from The Bernstein Law Firm, please contact us today. If you or someone you know has been injured in a boating accident where the boat operator's negligence caused you injury, or if the operator of another boat caused you injury, you may be entitled to seek compensation for damages including pain and suffering, medical costs, lost wages, and property damage to the vessel. Boating accidents can cause serious injuries and even death. Oftentimes, boating accidents can be attributed to carelessness of an intoxicated boater. The results can be catastrophic: broken bones, soft tissue damage, drowning and paralysis, not to mention the damage to the vessel. If you have been the victim of a boating acccident in Miami, contact the law firm of Hugh Bernstein. We will aggressively work to secure compensation for all of your losses.